The small, sometimes non-existent, yard of a townhouse poses challenges for landscaping. You can solve this problem, however, by using containers and planters. Create an inviting outdoor living area and add color to your townhouse. Numerous plants thrive in containers, giving you a wide selection of landscaping idea for your home. A patio or deck is the ideal location for potted trees. Dwarf varieties of trees in large pots perform well. For lovely spring flowers that will perfume the patio, choose weeping cherry (Prunus subhirtella var. pendula). According to Oregon State University’s Extension service, evergreens that grow well in planters include Korean fir (Abies koreana) and skyrocket juniper (Juniperis scopulorum). They make attractive additions to the front landscaping. 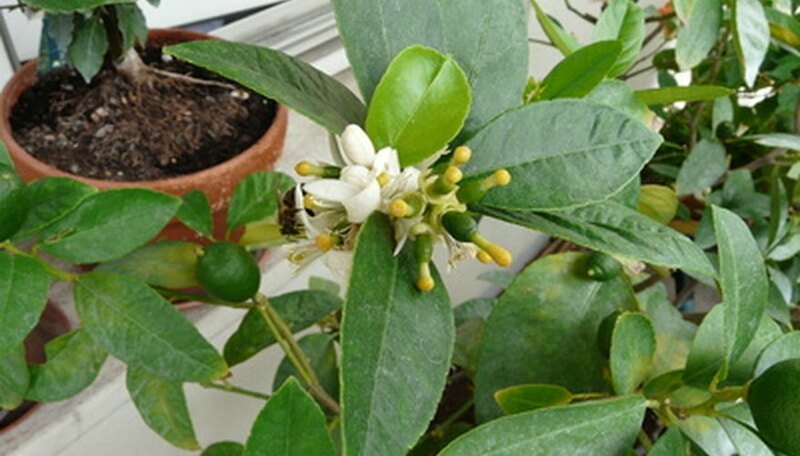 Citrus trees, such as Meyer lemon (Citrus x meyeri), have attractive foliage. According to the Purdue University Horticultural Extension, temperatures below 30 F damage lemon trees, so bring them indoors in cold climates during the winter. A planter with casters or a rolling tray makes moving them easy. All planters should have high quality potting mix and drainage holes. Use trays to prevent stains on the patio surface. Containers with trellises give privacy and look attractive. 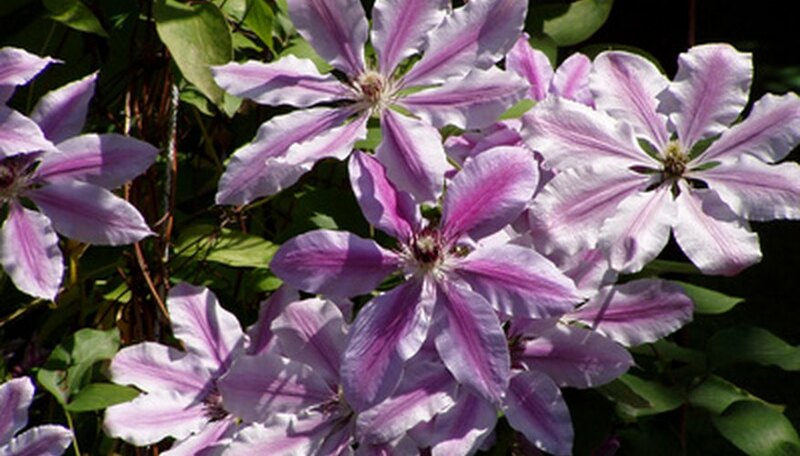 Use vines that grow quickly, such as any clematis varieties. Annuals, like the scarlet emperor runner bean (Phaseolus coccineus) provide food as well as looks. Morning glory (Ipomoea purpurea) and passionflower (Passiflora incarnata) also make good choices. Use the trellised containers around your patio, deck or porch to increase shade and create a wall. Wheeled planters allow you to move the trellis for optimal sun throughout the day. Large, self-watering containers placed around the patio or porch provide areas for edible gardening. Many vegetables, herbs and fruits thrive in these containers. Choose smaller varieties to utilize the space efficiently. For example, use determinate tomatoes—varieties that stop growing when flowers form--and bush varieties of peas and beans. 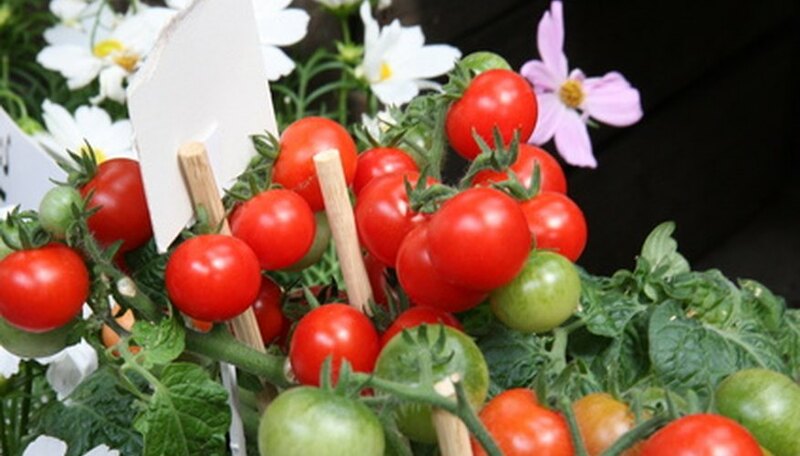 The AgriLife extension service of Texas A&M recommends using tomato varieties such as Patio, Pixie, Tiny Tim and Tumbling Tom for containers. Lettuces and greens make great choices for edible container gardening. Choose almost any herbs to add to the containers. Don’t limit each container to just one type of plant. Mix herbs and greens with vegetables and fruits to make the planters attractive as well as functional. 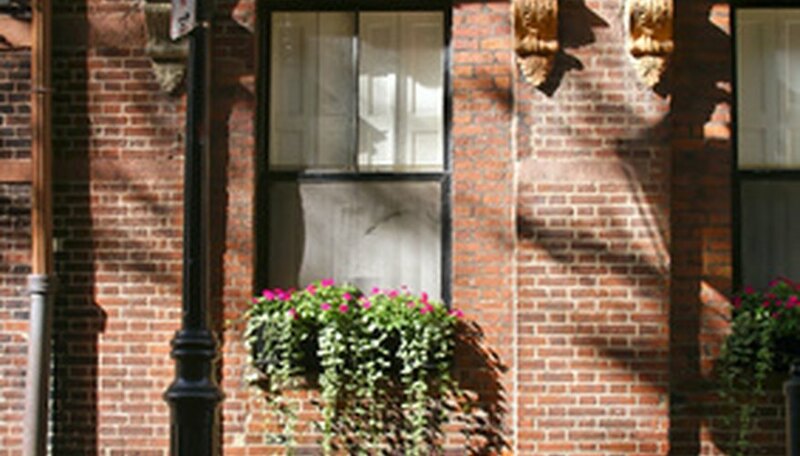 To give seasonal color to your townhouse, use window boxes and decorative planters for flowers. Annuals, perennials and bulb all grow well in planters. 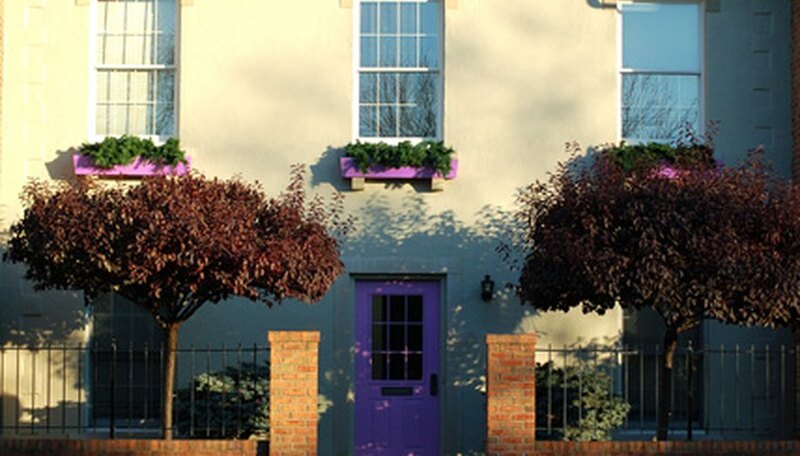 For window boxes, use taller plants on the house side and climbing plants in the front of the box. The taller plants combined with the vines cascading over the side of the planter create height. Plants for window boxes include Little Princess Shasta daisy (Leucanthemum x superbum), bugleweed (Ajuga genevensis), English daisies (Bellis perennis), rock cress (Arabis caucasica), alpine asters (Aster alpinus) and Serbian bellflower (Campanula poscharskyana). Use a variety of colors and textures in each box for the best affect.